Your Murray child’s dental health is essential to overall health and vitality. At Salt Lake Dental Care, our Murray family dentist loves working with you and your child to ensure a healthy smile for life. Why? The health of your Murray child’s teeth and gums can affect their speech development, eating habits and self-esteem. Salt Lake City pediatric dental care is critical, and that is why we recommend bringing your Murray child in for a first exam before age one, or when their first tooth erupts. During the initial visit, we can discuss Murray UT dental treatments such as sealants, fluoride treatments, brushing and flossing techniques and Utah orthodontics. Salt Lake City children’s dentists also counsel parents about thumb-sucking, pacifier use and other habits that affect your child’s Murray pediatric dental health. We can also help you keep your child’s teeth protected during sporting activities. 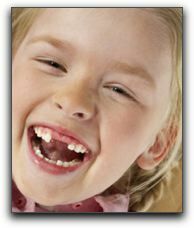 Call us immediately at 801-938-8855 if your child has a dental emergency or Sandy tooth injury. Our caring staff will make your child feel comfortable during their Murray dental visit. In additional to offering experienced Murray kid’s dentistry, we are also a full-service Utah dental clinic. We offer advice and care on porcelain veneers, tooth implants, teeth whitening, tooth bonding, and restorative dentistry for residents of Sandy, Salt Lake City, and Murray UT. We hope to be your Murray children’s dentist consultant.